I try to live by the motto; starting the debugger is a failure when it comes to code I write. That means that through logging and just reading the code it should be possible to figure out what is going on in my code. However quite often I have to work with code I did not write and then some advanced breakpoint tricks come in handy. 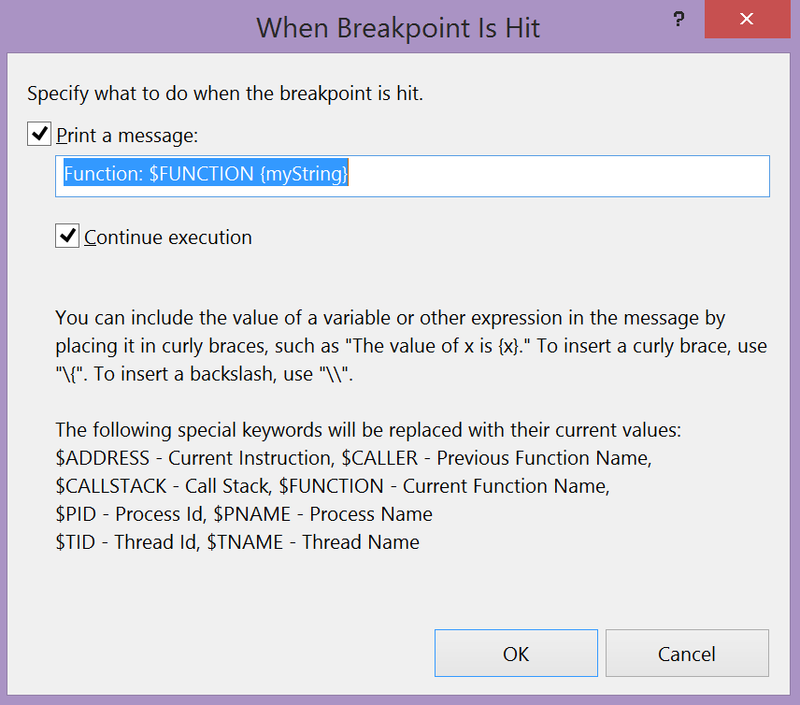 I've often used conditional breakpoints that only halt execution under certain conditions but recently I discovered a (presumably old) feature in Visual Studio; the ability to print random things from variables when breakpoints are hit rather than halting execution. If you combine that feature with the Reflector plugin you can even set breakpoints in 3rd party assemblies and print their variables to make debugging easier! I've penned down a blog post on this.